Ask students what they admire about Kalamazoo College economics and business Senior Instructor Chuck Stull and they’ll tell you he’s always there when they need his help and advice. So it should come as no surprise that being able to mentor students is one of the main things Stull enjoys about teaching. Senior Instructor Chuck Stull will be honored with the Florence J. Lucasse Lectureship for Excellence in Teaching in a ceremony at 4 p.m. Tuesday, May 8, in the Olmsted Room. Stull joined K’s Economics and Business Department in 1996. He holds degrees from Northwestern University and the University of Wisconsin-Madison. 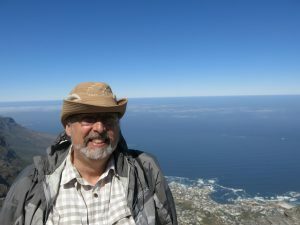 He is an avid traveler, spending his most recent sabbatical, during the 2014-15 school year, in England and Spain, and visiting South Africa in 2016. He has also traveled to Turkey, China, the Dominican Republic, Ecuador, Costa Rica and Mexico, and keeps in his office a collection of Frosted Flakes boxes in many languages, reflecting his many journeys and his sense of humor, something else his students enjoy. As the name implies, the Lucasse lectureship involves giving a lecture. Stull said he is still working out the topic for his talk. 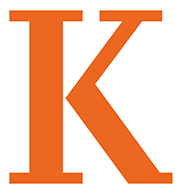 The Florence J. Lucasse Lectureship (for outstanding classroom teaching) and Fellowship (for outstanding achievement in creative work, research or publication) at Kalamazoo College were established in 1979, and Stull is the 30th recipient of the lectureship. The awards were created to honor Florence J. Lucasse, a 1910 alumna, in recognition of her long and distinguished career and in response to the major unrestricted endowment gift given to the College in her will. This entry was posted in News Stories and tagged business, economics, faculty, . Bookmark the permalink.